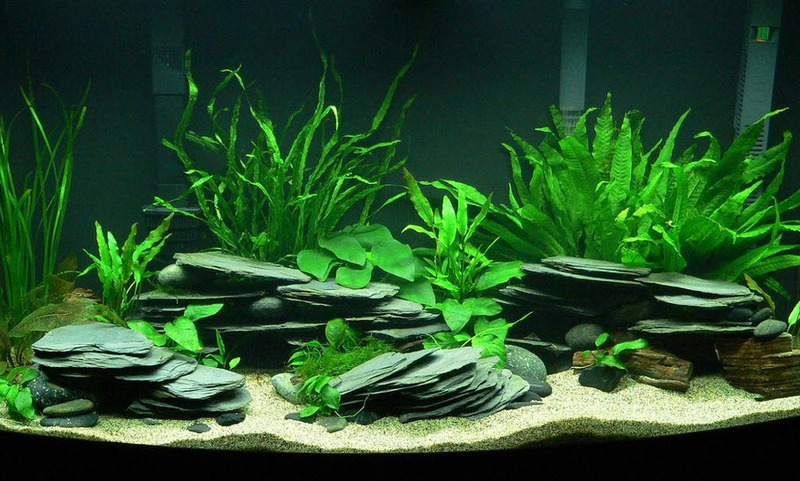 Use pieces of slate to create caves in your aquarium! Gather several pieces of slate that are similar sizes and several river rocks of various sizes. Stack the pieces of slate, alternating with some river rocks, to create cave areas. Gently tap the sides of the stone stacks to ensure they are stable.